HUS has confirmed that an unvaccinated child was suspected of carrying the disease that forced the partial shutdown of the Iso Omena shopping centre on Tuesday. The Helsinki University Hospital HUS said that the suspected case of measles that caused the partial shutdown of an Espoo shopping mall on Tuesday was detected in an unvaccinated child. The case caused the closure of the services section of the Iso Omena retail centre in Matinkylä for the rest of the evening, for fear of the infection spreading. The services promenade of the mall includes a library and children's play area that also functions as a waiting room for maternity care patients and visitors to the health care centre. HUS' infectious diseases division head Asko Järvinen said he believes that infection suspicions have increased significantly in the last few years. He says last year's incidents in Ostrobothnia have further quickened the pace of new reports. "It's backed up by more incidents of diseases in European countries and more public discussion of the issue, so people are more likely to have suspicions," he says. 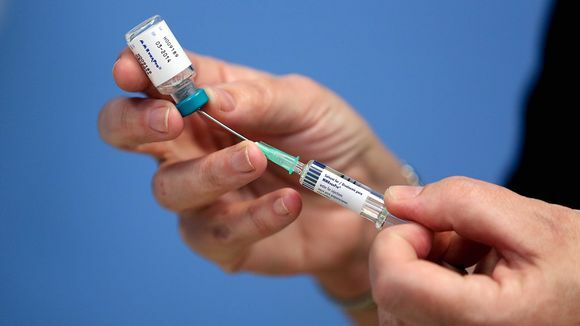 The National Health and Welfare Service's senior specialist in infectious diseases Mia Kontio says that in practice all of the cases of measles that have been reported in Finland in recent years have been contracted abroad. There have only been a handful of cases in which the highly infectious disease has spread from someone who contracted it abroad to someone else in the vicinity. A February THL bulletin says vaccination coverage of children in Finland is actually very good at present, with some variation between different vaccines and regions. Coverage for the MMR vaccine (MPR in Finland) protecting against measles, mumps and rubella has improved the most, as it was administered to 96 percent of children born in 2016. This is over two percentage points higher than the percentage of vaccinated children born in 2015. "The news about measles and its related complications have highlighted the importance of vaccinations. However, there are regional differences in vaccination coverage. As measles spreads very easily, it is worth aiming at the highest possible coverage both regionally and in different population groups," THL medical specialist Ulpu Elonsalo says in the release. HUS chief Asko Järvinen emphasises that the measles reports in Finland to date have all been isolated cases. He says that Finland has such strong coverage rates that there is no risk of an epidemic.